Some people think that the folks at Veilside are all about body kits. I say to those people “Open your mind!” Veilside produces a variety of products including these cool VSD-1 Racing Seats. In the picture you see the reclinable version because we dont always want our backs at a 90 degree angle. That’s Veilside for you, always thinking. 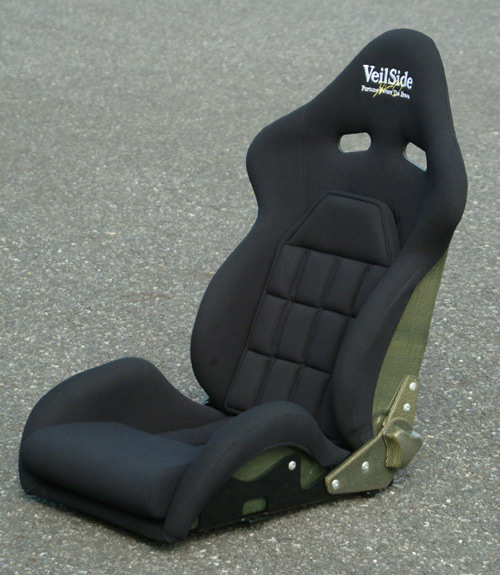 Oh and if you’re a baller you can get these seats with a carbon kevlar shell for about $1040 a piece.